Just Getting Started? Here are five packaging tips you must know. If you are searching for real answers about where to begin developing your product packaging – you need to download this white paper. Based on over 25 years of experience, these tips will get you headed in the right direction. Do you know your product's "USP?" What type of packaging works best? 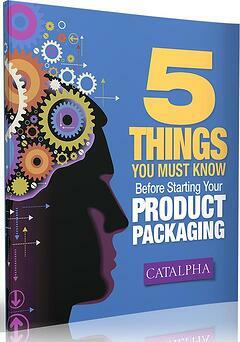 If you are searching for an experienced package designer to help get your product packaged and to market Catalpha is your source. Download our white paper now - and get headed in the right direction.